The civil war is getting closer and closer. Hvitserk is already talking about killing Lagertha and Ubbe so that Ivar can be crowned king on Vikings Season 5 Episode 5, and needless to say, Ivar doesn't hate the idea. Lagertha has been preparing for an attack from King Harald, but little does she know that the attack could include Ivar as well. An alliance between King Harald and Ivar could be devastating for Lagertha and Kattegat. I'm not sure how they could withstand an attack of that nature. What will be interesting is how many members of Ivar's current army stay with him and how many switch sides. These guys signed up to raid other lands, not their own. They've been with Ivar this whole time, so most of them will probably support his mission to de-throne Lagertha, but it wouldn't be surprising if at least some of them didn't. It's civil war; everyone is going to have to pick a side. Ubbe: You should know that he and I have fallen out. Floki: Can you not be reconciled? Ubbe: I don't think so. I think it is more likely that one day we will go to war against each other. Permalink: I don't think so. I think it is more likely that one day we will go to war against each other. Floki is one guy that won't be choosing. When the time comes, he'll already be long gone, back for his new "special" land of the Gods. That is unless Lagertha discovers him recruiting her soldiers and kills him for insubordination. I mean, come on, she had to know he was going to completely ignore her orders and do it anyway. He believes he's doing the work of the Gods, so he's not too worried about the ramifications if she finds out. The Gods must be protecting him because he managed to get all the way home despite throwing Ivar's compass into the ocean. Not only that, but he's apparently not concerned about how he's going to find his way back to his new island. He must just have a perfect sense of direction. Before, I was under the impression we were gearing up for two separate battles, but now with Ivar's idea to team up with Harald, it's clear we're going to get one, colossal war instead. It should be exciting, but Lagertha and Ubbe aren't yet prepared for that. Hopefully, word of the alliance gets to them (maybe through Astrid? ), and they can beef up their army because no one wants to see an overwhelmingly one-sided fight. The battles themselves are starting to lose their shock value considering how often we see them. We're being desensitized. A lady was trampled by a horse, and I barely flinched. Now, what did gross me out was the human stew that Bjorn received in Africa. I can watch a bloody battle and people trampled, but cannibalism will make me shudder. Bjorn needs to learn to be a bit more suspicious of the hospitality of strangers. Even if you put aside the fact that he's married, being "gifted" a woman is probably something he should think twice about before accepting. Obviously, he wasn't thinking with his brain at that moment. The judgment lapse may cost him. He was not in the best of situations when we left him. The incoming sandstorm will most likely save his neck (literally), but we'll have to see if he can escape Africa unscathed. He's going to need to return home soon and join his mother and brother to defend Kattegat anyway. 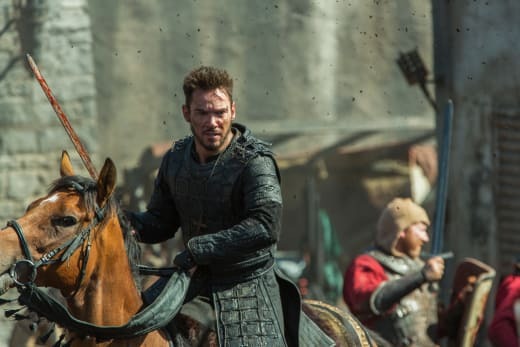 So, what is to become of Bishop Heahmund? Ivar respects him, at least as much as he is capable of respecting anyone. He sees him as a worthy adversary and has decided to take him prisoner rather than killing him. At least, for now, that is. 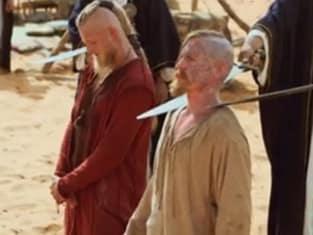 Hvitserk: And what of our prisoner, this bishop? Ivar: Well, what do you propose? Hvitserk: He seems like an important man. We could offer him back to the Saxons for a great ransom. 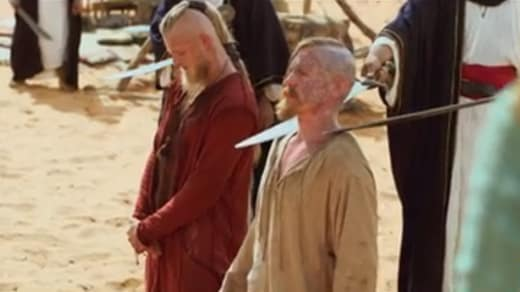 Ivar: Or we could crucify him. That would be fun. Permalink: Or we could crucify him. That would be fun. Killing him could eventually be on the docket, but he's too good of a warrior to die a prisoner, so I think it's safe to say there's more in store for him. Maybe Ivar plans on talking him into an "if you can beat 'em, join 'em" mentality. It's doubtful Bishop Heahmund goes for that. They're too good as enemies to ever be friends. Here's a theory, what if the Saxons end up joining the civil war and side with Lagertha against Ivar? 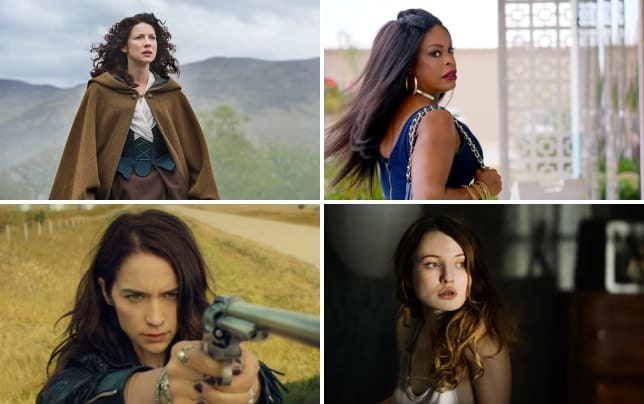 It stands to reason that they will somehow play a part in all of this, and with Heahmund as Ivar's prisoner, perhaps Aethelwulf strikes a similar alliance with Lagertha. That would certainly give her a fighting chance against Ivar and Harald. 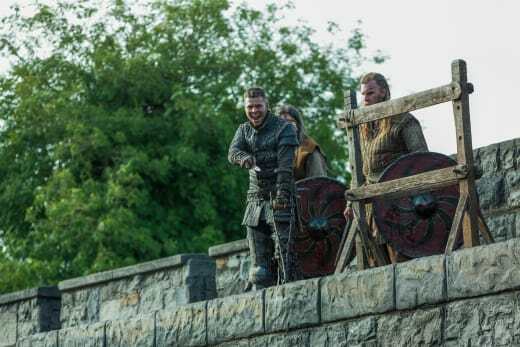 It was interesting how the whole battle just stopped so Ivar could give Heahmund a horse. Then afterward it just started back up again as in someone hit the play button on their remote. Is anyone else wondering where the Vikings hid their ships? Okay, sure, they all hid underground and waited for the Saxons to stupidly embark on the town so they could attack, but where were the ships? The Saxons said they were gone, so someone must have sailed them offshore somewhere and then returned for the rest of the army. I guess the Saxons learned a fundamental lesson. So, are you guys ready for the impending civil war? Which side are you on? Will Bjorn make it out of Africa and return home help defend Kattegat? Don't forget, you can watch Vikings online to discover new territory you may have missed on all past installments. Lagertha: Floki, I never thought I'd see you again. Not in this lifetime, anyway. Floki: No, it's strange for me too, to be back here in this great hall. Permalink: No, it's strange for me too, to be back here in this great hall. Lagertha: Why did you come back here, Floki? Floki: Because I felt that it was wrong to keep this amazing place to myself. I want to share it. 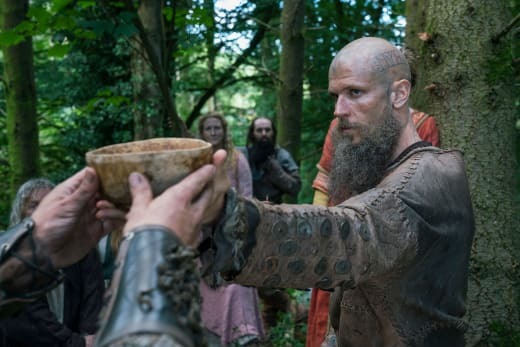 Floki: With those who believe in the true Gods. Permalink: With those who believe in the true Gods.